David Moore was working for Max Dupain in 1948 having spent 1947 working in Russell Roberts’s studio. He had been using a camera since he was 11 and was completely dedicated to the medium. Moore’s early interest in the capture of light and movement never left him, despite his reputation being built on photo-documentary. In 1948 Moore was photographing on the streets as well as expanding his knowledge of studio photography. He was experimenting with all the things a camera could do and ‘Light pattern, camera in motion’ is an example of this. Moore went on to photograph flow patterns of ink in water in 1964, and to abstract the movements of water and light in the 1970s. In the 1990s Moore was photographing landscapes whether in colour or black-and-white and capturing the dynamic patterns of clouds and water. Again, the impulse to abstract and find elemental forms was at work. In 1980 he wrote: ‘A refreshing new clearing in the clouds opened up and quite suddenly we, as photographers did not have to be so literal, so naïve in our understandings of which way was up.’1 Although Moore was discussing the 1970s, this quote is entirely relevant to each stage of his career. In 1948 the impulse probably came from an early interest in the pioneering work in the 1930s of American Harold Edgerton where capturing action photographically at very high speeds revealed a form in motion for the first time. ‘Light pattern, camera in motion’ can be read in parallel with postwar abstraction in painting where expressive qualities couple with pure form. 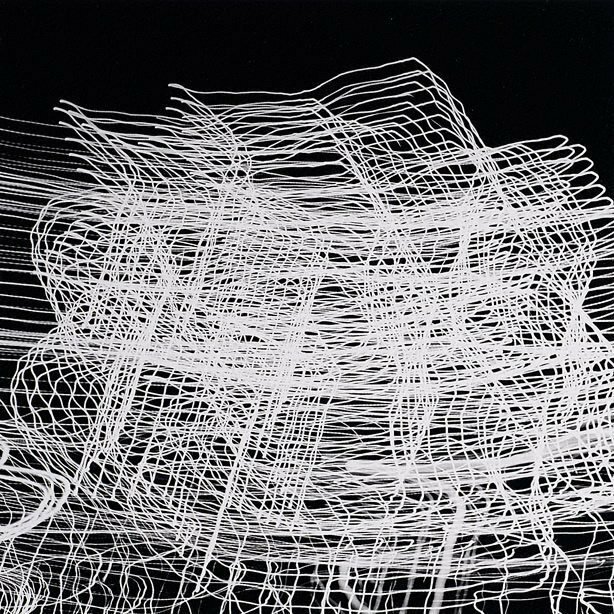 Certainly, Moore’s eagerness to experiment, his broad readings around modernist photography, and the influence of Max Dupain enabled him to create images which were unknown in Australian photographic practice at that time.